Each instructor, with their varied background and wide scope of expertise, will make every session an amazing experience. 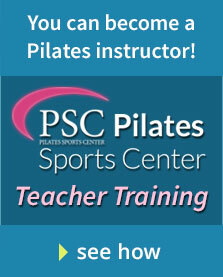 All of our instructors are certified through internationally recognized Pilates or Personal Training organizations. Each is dedicated and passionate about providing you the best training possible. Our instructors adhere to strict training and certification guidelines and participate in ongoing continuing education to maintain their teacher certifications. Karen Rickett is a Registered Dietitian, Pilates Instructor and Personal Trainer. She has been working in the health and fitness industry for over 25 years and practicing as a Registered Dietitian for 18 years. Karen holds a Master of Science in Nutrition and is a nationally credentialed Registered Dietitian through the American Dietetic Association. Karen holds a comprehensive Pilates certification through The PhysicalMind Institute headquartered in New York and a personal training certification through the Aerobic and Fitness Association of America. She is also a Johnny G certified spin instructor. Karen has owned and operated two successful fitness businesses as well as a successful retail business. She brought her business, fitness, and nutrition knowledge together to open the largest and most comprehensive Pilates and Personal Training studio in San Diego County. Portia Page is a faculty member of Balanced Body® University and a STOTT PILATES®-certified instructor as well as a gold-certified Pilates teacher through Pilates Method Alliance®. She has been in the fitness industry for over 19 years and has served as a teacher, competitor, program director, instructor trainer and international presenter. Portia has been part of the Balanced Body® creative team for choreography and program development for the EXO Chair and the Pilates Arc and now for the CoreAlign. She also has helped develop and cultivate several new programs and classes for large fitness centers such as 24 Hour Fitness® and Frog’s Club One. She has conducted trainings throughout the United States and abroad for over 10 years. 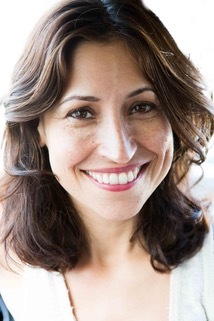 After Marya Badiei received her Bachelors in Theater Arts and Dance from UCSC in 2001, she moved to San Francisco to study Pilates at the Integrated Teachers Training program. Her training there focused on using the exercises developed by Joseph Pilates with a thorough understanding of anatomy and biomechanics. The heart of her education is how to create lasting change for clients through an integrative approach to corrective exercises and the integration of mind body awareness. Marya has been a Pilates instructor for 15 years and an acupuncturist for eight years. She focused her continuing education on rehabilitation and fitness, and brings deep understanding of the body and passion for movement to each session. She believes we can only achieve true fitness when we have the discipline to keep our focus on correct postural alignment. This focus is what protects us from injuries and ultimately allows us to achieve our fitness goals. Marya’s goal is to help people have a strong foundation in postural alignment and to use this foundation to build their fitness training. She is passionate about helping clients move beyond their perceived physical limitations and get out of pain and loves helping them achieve their balance between wellness and fitness. Renee Boeh has been in the fitness industry for over 20 years. She graduated from SDSU with a BA in Physical Education with an Exercise Science emphasis. Renee is a Certified Pilates Instructor, an ACE-Certified Personal Trainer, and a Fallproof Balance and Mobility Specialist. She has taught various types of classes throughout her career, with specialties including Pilates Equipment training and Pilates Mat, strength and flexibility training, indoor cycling, boot camps, circuit training, and special populations. Employed for nine years at the world-renowned Golden Door Spa in Escondido, California, she trained and instructed an elite clientele. Renee believes health and fitness is a lifestyle that can be interesting and fun, and her goal is to help other develop a passion for fitness and find ways to include exercise in their lives. Karen grew up in Orange County, California where she began studying dance. She continued her dance training at the University of Utah, the University of Nevada, Las Vegas, and workshops throughout the country. She studied ballet, jazz, and ballroom and specialized in modern. She received her bachelor’s degree in dance from UNLV. While completing her degree, Karen began using the Pilates method to enhance her dance training and rehabilitate from injuries. She studied with Dolly Kelepecz and enrolled in a certification program through UNLV. After graduating she moved to Portland, Oregon where she taught dance and Pilates mat classes. She has completed the comprehensive Pilates certification from UNLV and continued training through D.K. Body Balancing Method and Body Design in Newport Beach, CA. Now living in San Diego, Karen teaches Pilates, yoga and hoop dance. Barbara Debish holds a Masters of Science degree in Audiology from the University of Oklahoma. After completing her degree, Barbara worked for a hearing specialist in San Diego and for the Arizona School for the Deaf and Blind. After starting a family she decided to pursue a career that would give her more flexibility with her children and chose to become a Pilates instructor. She has been practicing Pilates for over 12 years and teaching for over 7 years. Barbara received her teaching certification from STOTT Pilates after studying in both Virginia and San Diego. Pilates became instrumental in helping her stay healthy while training for marathons. She enjoys working with clients and helping them achieve all of the wonderful benefits of Pilates. Ian Isles, a native of San Diego, is an instructor of Dance, Pilates, and Movement for Non-Dancers. He finished his training in Pilates from the Body Arts Science International headquarters under the direct instruction of Rael Isacowitz. Ian holds a degree in Dance from UCLA’s Department of World Arts & Cultures, is finishing certification in Laban Movement Analysis and Bartenieff Fundamentals under the direct instruction of Peggy Hackney, and is also an avid practitioner of Ohad Naharin’s movement language, Gaga. He is a company member of bkSOUL and his work has been presented at UCLA, events curated by San Diego Dance Theater, and in the Hollywood Fringe Festival. LA Weekly described Ian as being “among L.A.’s most inventive and thoughtful choreographers.” Realizing the growth of his interest in Pilates, Dance, Laban, and Gaga, Ian is excited to see where his career in movement will take him. Cindy holds a Bachelor of Science Degree and a Master of Education degree, and is a certified Personal Trainer through the Aerobic and Fitness Association of America. Formerly, Cindy taught K-12 Physical Education in Marblehead, MA, coached and officiated high school varsity field hockey, and officiated high school volleyball in California. Cindy has always led an active life. Being an avid tennis player, she knew she had to do more to protect her body from injury if she was going to continue to play competitively. Pilates has toned and strengthened her whole body while increasing her flexibility, all while being easy on her joints too! Her passion for Pilates took her on another of life’s journeys when she decided to become a comprehensive Pilates trainer through Balanced Body. Cindy is putting her teaching and coaching skills to good use while doing something she loves; helping clients look and feel their best while having fun is her goal!